I guess it was nearly 150 years ago that my great grandfather, A.P. Monroe, help his daddy cure meat in the smokehouse behind their home in Lumber Bridge, North Carolina. Maybe it was watching the back-breaking life of a farmer, maybe it was the promise of progress and prosperity, but as soon as he was old enough, A.P. 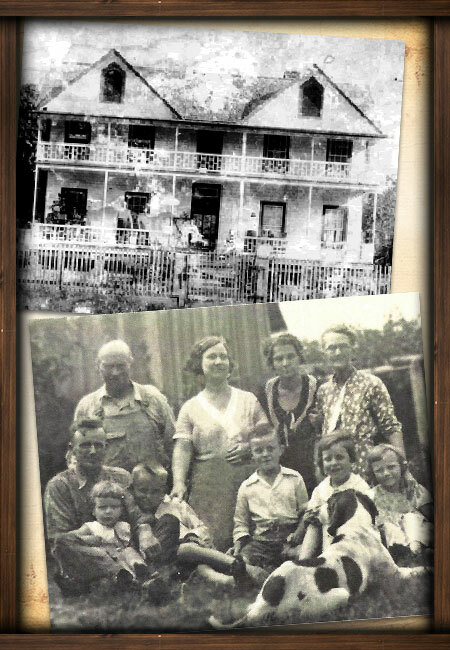 pressed on until he, his wife, Mamie and their surviving son arrived at Pine, Florida. Business was booming in the rough land of the Big Scrub, and A.P. was soon operating a successful turpentine store. 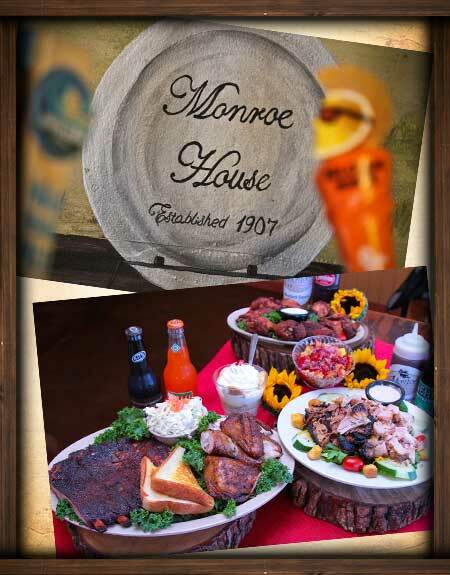 When profits were high, he bought the Horseshoe Ranch and built the Monroe House – complete with a smokehouse. Going out back at 5 in the morning, he did just as his daddy had taught him and smoked meat for no less than 12 hours. My grandmother, Allene, spent many Sunday afternoons drinking buttermilk under the cool shade of the balcony after a filling meal of smoked brisket and sweet corn. As she grew up, her daddy’s values stayed with her. And like him, wanted all life had to offer, so she headed off to college at FSU. It wasn’t long before she fell in love with Wade Session Hastings, a soldier from WW1. They were married in Jacksonville on the day before Thanksgiving, which seems fitting. Since it was a time when nothing was taken for granted. The simple idea of a peaceful Sunday dinner with children of their own was more than enough to be thankful for. There’s nothing that feels quite as good as listening to the stories my Uncle Angus, Aunt Mary, Aunt Mona, Uncle Wade and my mother Sylvia would tell about Granny and their memories in the Monroe House. For us, it is not just a house, but a place that represents the values that have been passed down from generation to generation; Work Hard, Take Care of Your Family and Spend Time Enjoying Good Food with People You Love. Monroe's Smokehouse BBQ On-The-Go Food Truck uses Facebook and Twitter to announce where the truck will be on any given day or time Monroe's Smokehouse BBQ On-The-Go Food Truck will be bringing it's famous slow-cooked barbecue and sides to urban and suburban locations around Jacksonville. See Where We'll Be Today!! 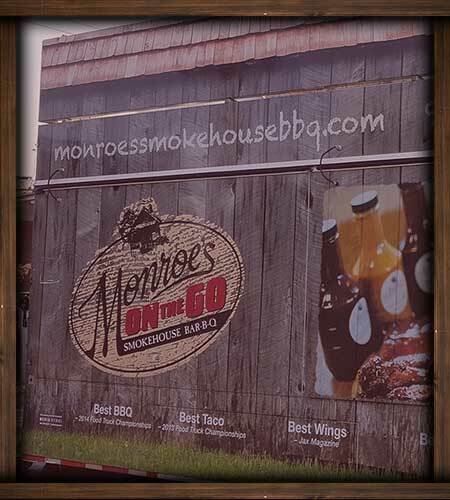 Monroe's Smokehouse BBQ On-The-Go Food Truck is available for rental! Bring us along to your next gathering, party, event or celebration! Call for details and availability.